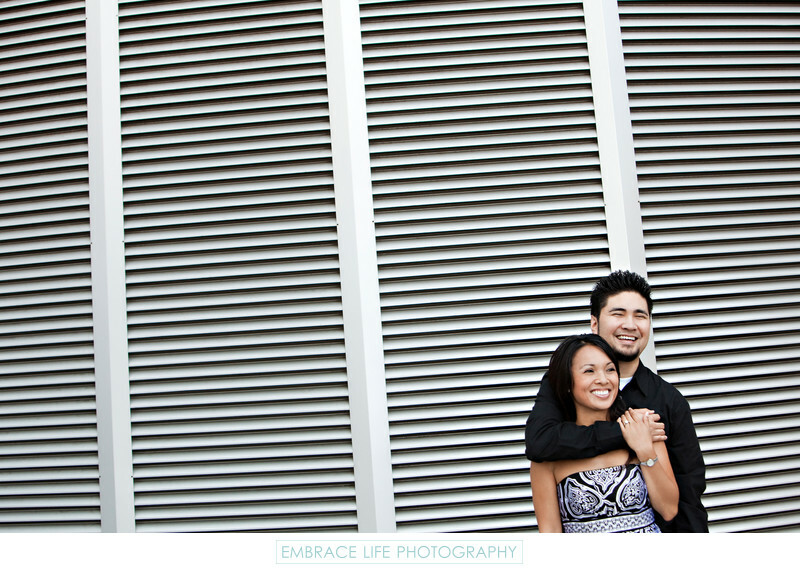 Sweet couple shares laughter during their Disney Concert Hall engagement portrait session. Location: 111 S Grand Ave, Los Angeles, CA 90012. Keywords: Engagement (198), Portrait (888).